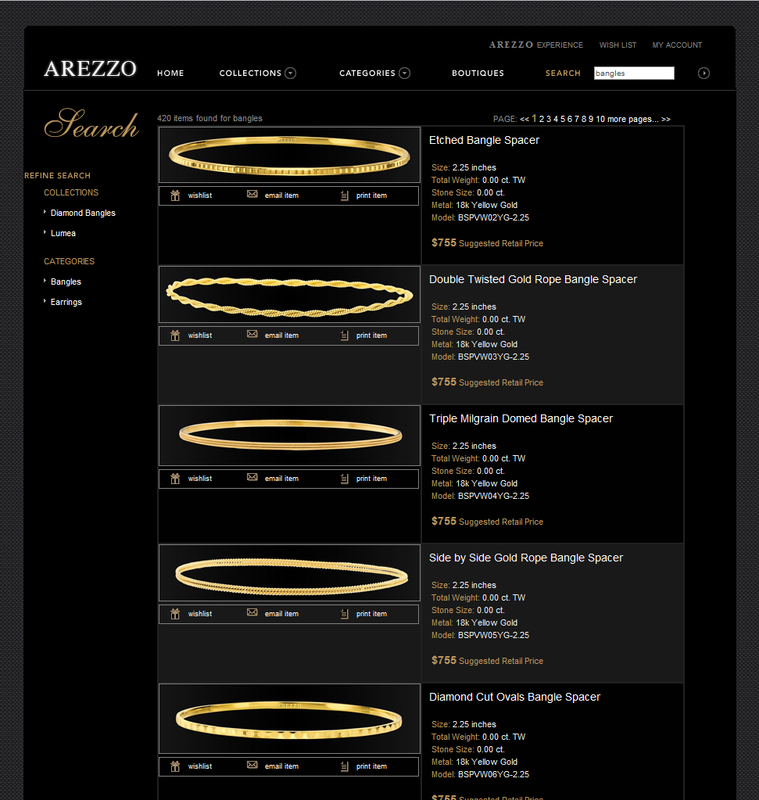 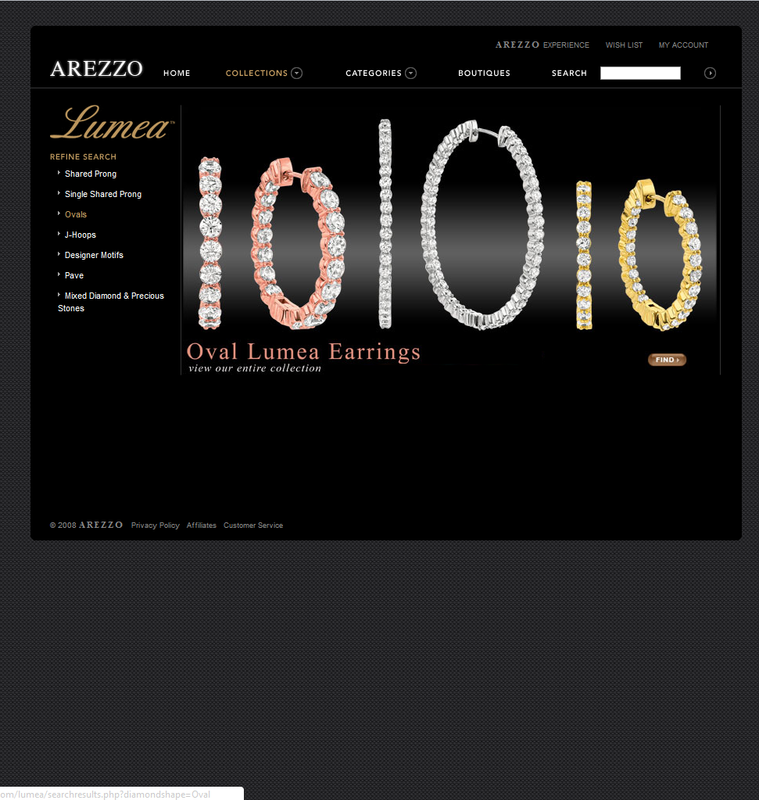 Arezzo needed a website to showcase their jewelry and allow users to browse, zoom in to view details, customize, and purchase their products. 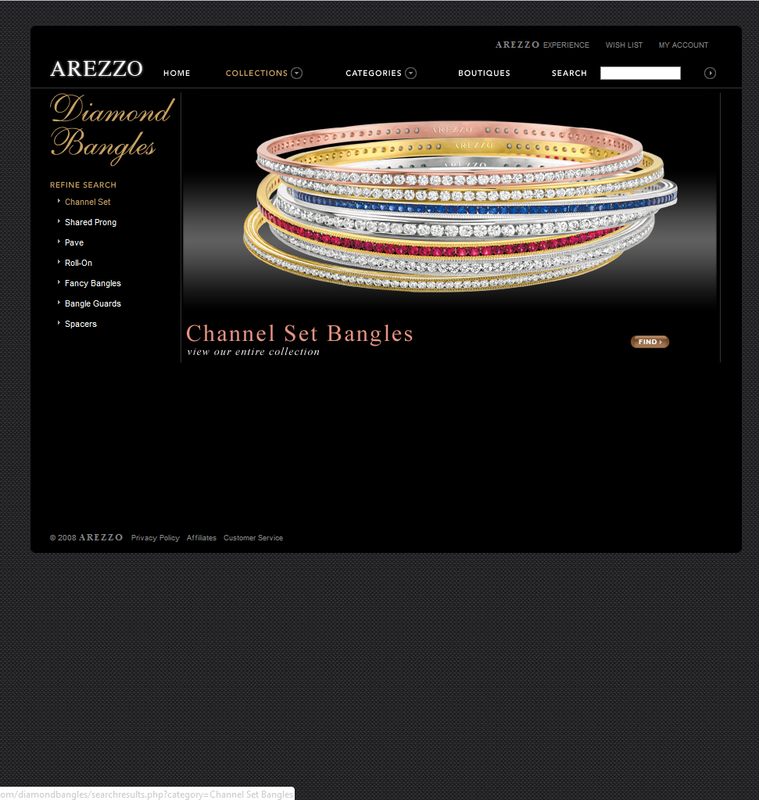 We created a PHP database site that allowed users to customize their jewelry using an array of options. 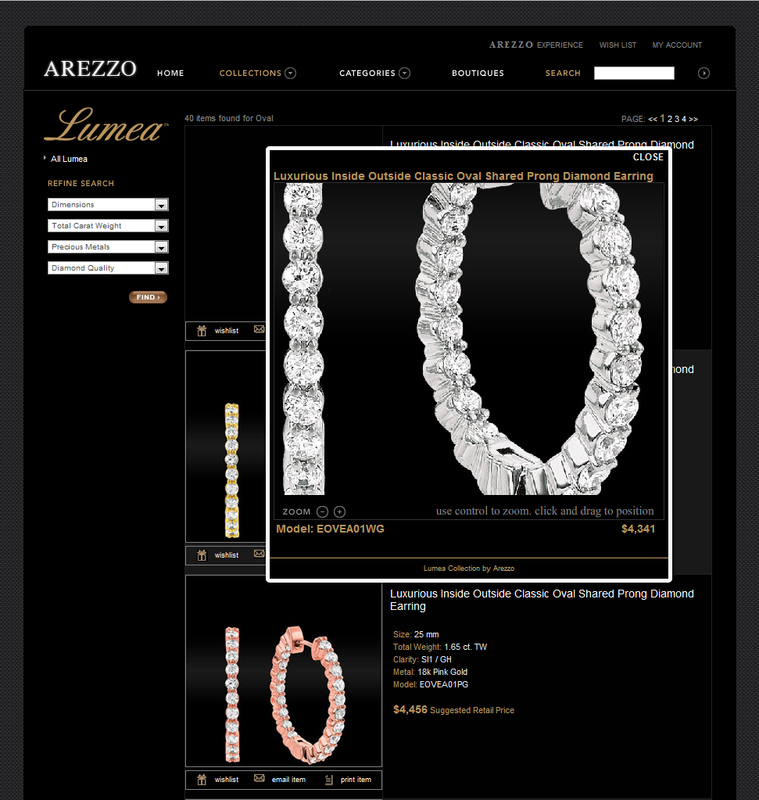 Users were able to zoom into products to view details. 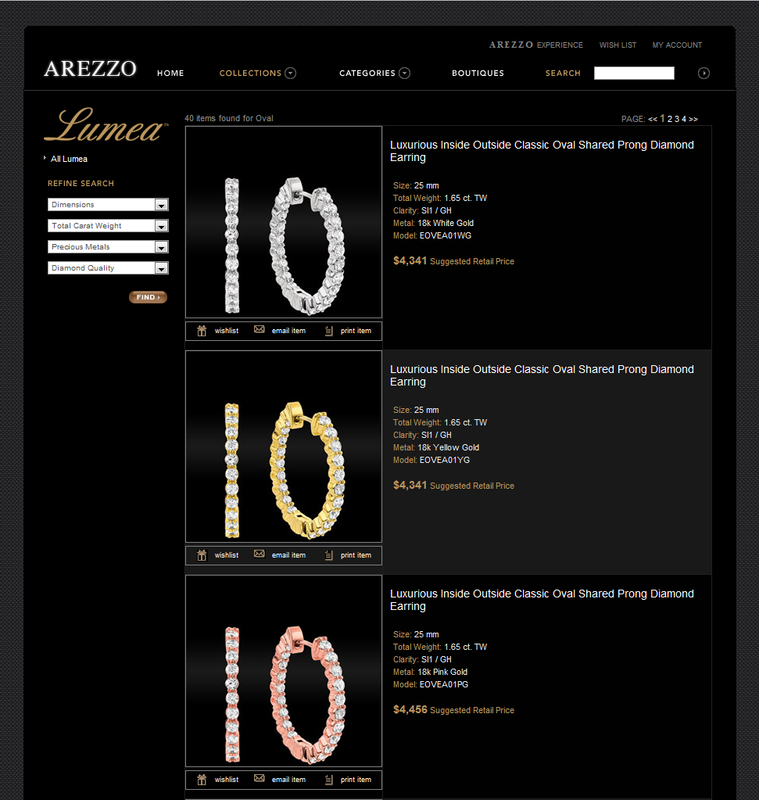 We also built a store locator which would look up reseller locations based on zip code.